With today’s advanced smartphones, it’s hard for some to believe that there was a time when a cell phone’s only function was to make phone calls. That function obviously still exists as part of handsets today but if AT&T CEO Randall Stephenson’s vision of the future is correct, we should expect to see data-only plans emerge in the industry within the next two years. Stephenson made the prediction during an investor conference in New York, where he noted that he’d be surprised if we don’t see people in the marketplace offering data-only plans in the next 24 months. Such a scenario would categorize phone calls and text messages as another form of data, although it’s unclear just how much “data” a typical call or text would consume. He’s so confident in this shift that he called it inevitable. Smarphone users in the know are already able to circumvent minute and text messaging plans through third-party applications like Skype and Talkatone that use data instead of cell minutes or counting towards a text allotment. Recent hikes in data plan charges and the mass dismissal of unlimited data plans are further evidence that many smartphones are primarily used as pocket computers instead of calling devices. 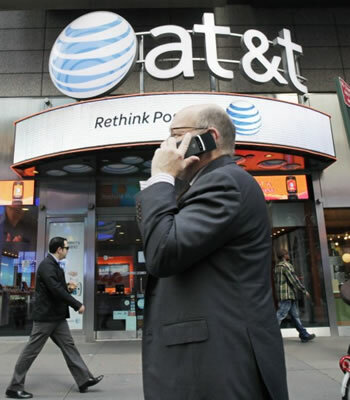 The Associated Press says that analysts feel such plans are the next logical step in wireless but they also note that wireless providers make the majority of their money from calling and texting plans, both of which they claim use very little data.